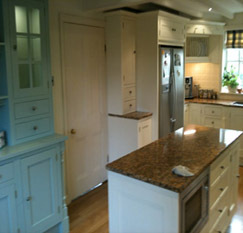 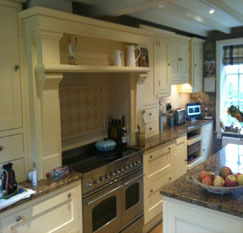 All Shaker doors removed for repolising in Ivory 20% sheen. 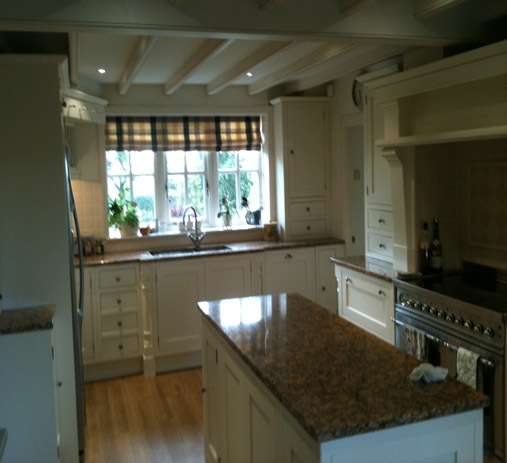 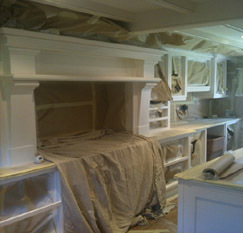 Masked up all kitchen including all inframe units for onsite respraying. 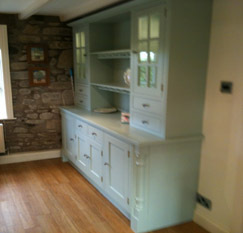 Free standing dresser unit repolished in customers own bespoke colour too add an accent colour to the kitchen. 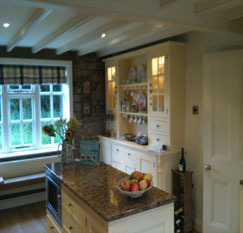 All this was completed in two weeks without any inconvenience to the customer.